It’s officially Spring! The temperature is rising, days are getting longer, we’re finally turning the heat off and putting the hot water bottle away – it’s an exciting time of the year! It’s also a time where memories of lazy Summer afternoons by the pool, get us looking to prepare our pool for the warmer months. So, here’s our guide to get your pool Summer-ready. First of all, check the pump and filtration systems are working perfectly. Check the strainer basket doesn’t have any cracks that could potentially lead to debris in the pool. Next, check the pool lighting and see if the bulbs need replacing. You may also need to upgrade or replace any pool equipment – pumps, drain covers, pool covers, brushes, vacuums, leaf scoops or skimmers. In fact, top it up! This is mostly here as a safety message – but no matter how dirty your pool is or how many leaves have made their way to the bottom of the pool, don’t empty your pool unless you get professional help. Emptying your pool can cause it to lift out of the ground, causing significant damage to the structure and surrounding areas. 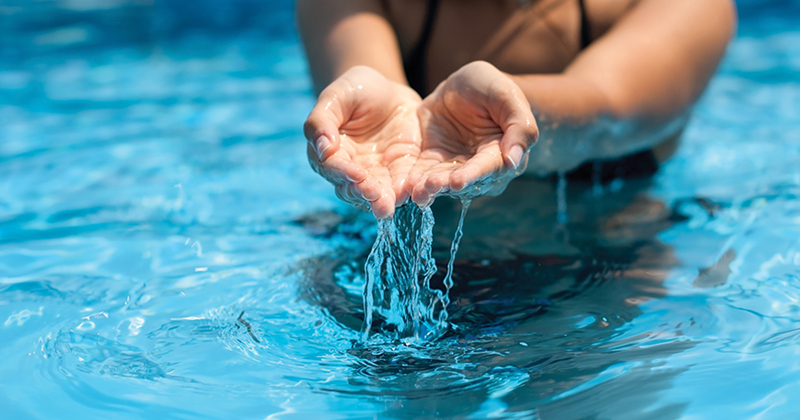 Spring is a great time to get back into cleaning your pool, particularly if you’ve been neglecting it when the weather’s been rough. Clean out the baskets and make sure you wash out the filter – a clogged filter prevents the water from flowing freely and wears out the pump. 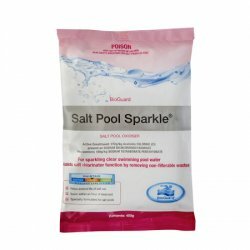 Make sure you scrub the pool walls (especially if you have grout), by using baking soda and a sponge, or a pool tile cleaner. Don’t use household cleaners, as those chemicals aren’t meant to be swum in. Give the surrounding areas a good clean too. 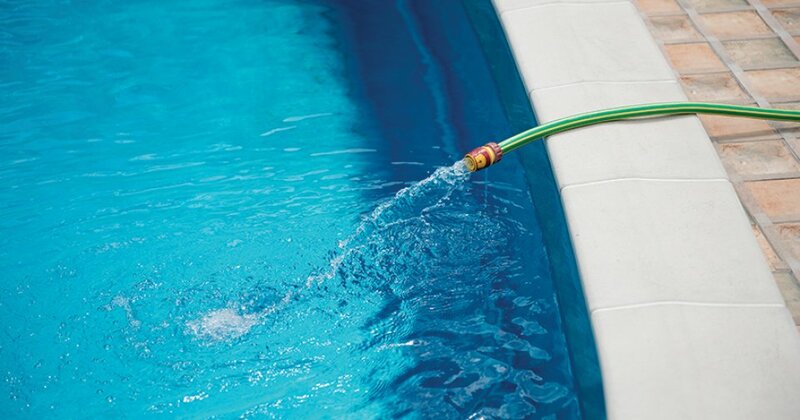 This prevents any surrounding dirt and debris from getting in the pool when it’s not covered. 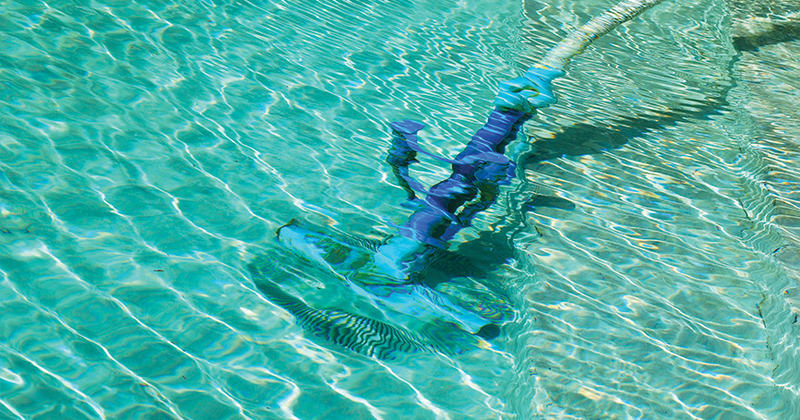 The most important part about getting your pool Summer-ready, is balancing the water chemicals. Alkalinity: 120-150ppm. Test alkalinity before adjusting pH levels, as pH will remain constant if you’ve got the right alkalinity levels. Stabiliser level: it should be sitting at a minimum of 30ppm of Cyanuric acid, helping to prevent chlorine loss. Algaecide: add algaecide to your water to eliminate algae growth, particularly if your pool has been neglected during the cooler months. Chlorine: this should be sitting between 1.5 and 3ppm. Visit our online product range or your local BioGuard Approved Retailer to remedy any imbalances in the chemicals mentioned above. 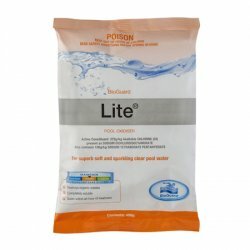 Shocking your pool, by adding an oxidising compound or mixture to the water, will help to destroy chloramines and other undesirables that build up. This should be done every couple of weeks to keep it looking pristine. 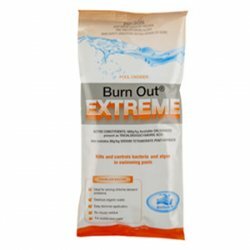 Do this by adding in Burnout Extreme, BioGuard Lite or BioGuard Salt Pool Sparkle. Even if it’s not at your perfect temperature yet, after you’ve finished the 5 steps, you’ll definitely deserve a swim in your beautiful Summer-ready pool!